Have you heard of a Cacao ceremony? We’ve been seeing these events all over Facebook, and we are really excited for the chance to attend one this weekend at Aquarian Yoga in Clark, NJ. And we are HEAVILY considering following that right on up with Stress Free’s CBD practice. Yoga + booze was definitely a trend in 2018; 2019 seems to be beautifully filled with healing combinations that are making our souls sing. Make sure to let us know where you practice this week by hashtagging #njyogacollective. We are always looking to grow this incredible collective of mindfully magical beings! Challenge YOURSELF to developing healthy habits for the New Year at Kin Chi Yoga in Hazlet, NJ. Purchase a 30-day unlimited pass any time in the month of January and take at least 10 regular classes within 30 days. If you complete the challenge, your next 30-day unlimited pass is just $70. This miniseries has been specifically designed for young athletes. Yoga can help with improving core strength,flexibility, and balance. Your athlete will learn how to properly warm up the body, loosen joints, stretch, and strengthen muscles. This series is designed to establish a strong foundation for a healthy, safe, and fulfilling yoga practice. You will be introduced to and led through a variety of breathing techniques, yoga asanas (poses), and guided meditations. Whether you have never stepped on a mat, have taken a few classes, or even practice regularly, this series will teach you important fundamentals to help build and sustain a life-long yoga practice. Our next 5 week series will be led by Christine Dates and runs Thursdays, January 10 – February 7, 2019 from 7:30-8:30pm. Make up policy: Students are encouraged to attend the series in its entirety. ONE missed session can be made up in any of our Basic Yoga or Gentle Yoga classes. Join Spiral Path for this amazing series! Join Kathleen Good and Csilla Bischoff for this beautiful collaboration. The human body is an elegant expression of the creative energy of the universe. To stay healthy we must keep that energy flowing and be aware of the messages the body sends us. In this workshop we will use breath practice to settle the body enough to hear its messages, dynamic movements of a Kundalini yoga kriya to access our vital energy and meditation to relax the mind creating the environment for the body to heal. Each part of the workshop will be enhanced by the experience of Essential Oils. Activate your inner Chi with core yoga asanas to train the muscles in your pelvis, lower back, hips and abdomen to work in harmony. This leads to better balance, stability, flexibility, and increased strength through core training. Did you know most physical activities depend on stable core muscles? Then we head over to the barre to find our perfect hybrid balance: yoga, barre, and pilates. Set in a heated room 90 degrees. All Levels Welcomed. Join us at Aquarian Yoga Center in Clark as we gather as a community for a charity event to support a local animal rescue. Traveling 4 Paws Rescue is a small rescue, which helps to find forever homes for dogs from across the country. These animals need our help to find the people who will love them for the rest of their lives. This workshop is a donation based event that will consist of meditation, breathing exercises, and sound healing with singing bowls. There is no yoga or movement practice, so it is appropriate for everyone! A representative from Traveling 4 Paws will be there to discuss the charity’s mission and to describe how your generous donations will help them reach their goals. The suggested donation is $15 per person (cash only). In this workshop we will experience Young Living Essential Oils and gain insight on how they work, why they’re so effective and how to use them to support your body to achieve optimal wellness this winter, and beyond. Guests will also experience a guided meditation with breathwork that will leave you renewed and inspired to step into the new year with a full heart! Lockey will read excerpts from her memoir, A Girl Raised By Wolves, and share the tools and techniques she used along her healing journey. She uses her life‘s challenges and her sense of humor, to provide lessons to support other’s along their healing journey. Because the most important thing Lockey wants to share is; they didn’t break her. She is not only surviving, but thriving. Please join us for this class specifically designed for children with diverse abilities including ADD, ADHD, autism, down syndrome, sensory integration difficulties, language processing difficulties, developmental delays, limited mobility, anxiety, behavioral challenges and more. In this class, children will practice a gentle yoga sequence where they will learn to stretch, strengthen their muscles, improve balance, develop body-awareness and self-control, improve social interaction and learn techniques for relaxation. The class will end with a relaxation period. Join Hyacinth Mills as she guides you through a sacred ritual and deep meditative journey with Cacao, Shamanic Drum Sound Healing and Journeying. 3 powerful healing modalities to open your heart, release blockages and to dream your world into being. Sitting in ceremony is an ancient practice and a powerful act of self love, that gives us the time and space to step outside of our hectic lives and to return to the sacred. It creates an opportunity to journey into the silence within, to reflect upon who we are, how we love, what’s happening in our lives and to see the opportunities available to us. As we sit in circle, as our ancestors once did, held within sacred space and with the gentle plant medicine of Cacao you will have the opportunity to open up for insight and healing. Ceremonial Grade Cacao is Chocolate in its most purest and elevated form, a sacred food and medicine that when used in its original ceremonial context, it has the potential to change your life! Let’s take a seat around the ‘fire’ for divine guidance and to create space in our lives in order to dream and manifest! Are you experiencing the winter blues? Learn the keys to lasting Energy, Supporting Your Body and Getting the Glow! Join Danielle Wilczak, certified Kundalini yoga teacher and Csilla Bischoff, certified integrative nutrition health coach for an all levels Kundalini and Winter Wellness workshop focused on bringing a new level of energy to the body and elevate your mood. You’ll learn specific routines to boost your immunity, gently detox your body and prepare you for the rest of the cold season. Want to take your yoga practice upside down? Virgile Peyramaure will give you the tools you need to shake off the fear of handstands. Virgile is a world-renowned circus performer known for his handstands and hand-to-hand balancing acts. He has over 30 years of experience training people to invert safely and was most recently hired as a Cirque du Soleil coach. Come train with the best whether you’re just beginning your handstand journey or looking to deepen your existing practice. This workshop is non-heated and open to all levels. Let go of stress, tension, and worry with the sound of the Himalayan singing bowls. Relax in a zero gravity chair in the salt room and get all the benefits of the healing himalayan salt that make up the walls, the floor, and is infused into the air. Tracy will be playing the bowls to help to promote deep relaxation and the relief of stress and anxiety. In addition, she will be providing each participant with individual reiki healing energy. Join us at the trendiest little brewery at the Jersey Shore…The Bradley Brew Project, for our Bend and Brews yoga and beer event! 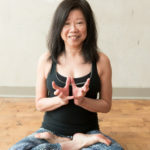 This class provides a unique experience through the merging of music, movement, energy and ambiance creating a morning of creativity and freedom followed by a flight of brews of your choice.All Metta Yoga classes are designed for yogis of all shapes and experience. Our classes are designed for all levels with the beginner in mind while offering more advanced options for those who like the challenge. Get the scoop Nature’s Healing Oil! Find out its many benefits, where it comes from, why it’s been under the radar and why to consider it. This is the perfect time of year to slow down, connect and heal naturally! Debra Muller, Cat Galli and Emily Sobel are joining forces to bring you the scoop & a gentle/restorative Yoga workshop. We also HIGHLY recommend you check out these ongoing offerings at Satsang in Westfield, NJ, all offered for your little ones (and your not-so-little ones). We are really excited to see the growth of their yoga for middle school girls, plus Satsang kids and a Playtime practice for ages 2 to 5!